Dr. Li found a genetic predisposition to certain cancers. In the late 1960s, Dr. Frederick P. Li came across a family whose medical history seemed to defy the era’s conventional wisdom that a cluster of cancers among close relatives was probably due to an environmental factor, exposure to viruses, or something as simple as chance. Dr. Li, an epidemiologist who was 75 when he died Friday in his Brookline home, thought otherwise, and over the next two decades his research helped establish a genetic predisposition to certain cancers that can be passed from generation to generation. Working first with Dr. Joseph F. Fraumeni, a National Cancer Institute colleague, Dr. Li studied families with cancer clusters similar to the initial one he found. The two epidemiologists identified what became known as the Li-Fraumeni syndrome, an inherited susceptibility to cancers, some rare. Over the following years, as Dr. Li moved to what is now the Dana-Farber Cancer Institute, he and other researchers identified some 80 families worldwide whose successive generations faced high risks of developing cancer at a young age, and who often developed a second or third kind of cancer if they survived the first. Until molecular genetics moved into the mainstream, the reason remained elusive. “The main problem was sorting out a bad gene from simply bad luck,” Dr. Li told the Globe in 1990, the year he and his colleagues finished doing just that. In what became front-page news in the Globe and New York Times, the researchers announced in November 1990 that people in families with inherited mutations of the p53 gene were more likely to be diagnosed with breast cancer and a handful of other malignancies. Scientists hailed the discovery as the first time a gene was found to establish a predisposition to certain cancers. A memorial service for Dr. Li will be held at 11 a.m. June 27 in Houghton Chapel at Wellesley College. The p53 gene “turns out to be one of the most important molecules in both the cause of cancer and its response to therapy,” Benz said. 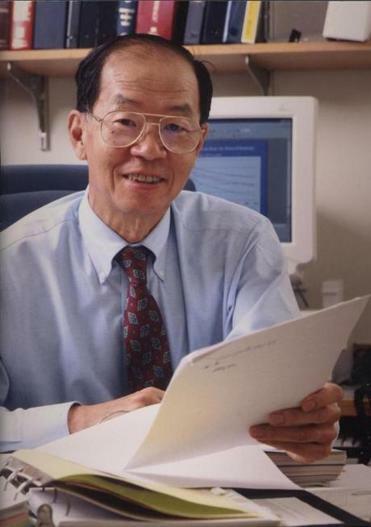 Fraumeni, Dr. Li’s original scientific collaborator on what became Li-Fraumeni syndrome, said in an interview, “Fred was good at anticipating what the next steps should be in our strategies.” The two were often honored in their careers, and in 1995 they shared a $100,000 Charles S. Mott prize for outstanding research in cancer causation and prevention. Dr. Li died of late-stage Alzheimer’s, a disease that prompted him to retire in 2008. The fourth of six children, Frederick Pei Li was born in Canton, China. His father, Han Hun Li, was a general in the Chinese Army, Dr. Li’s family said, and his mother, Chu Fang Wu, organized schools and orphanages during World War II. Dr. Li was 7 when his family moved to the United States and opened restaurants, first in New York City and later in the suburb of White Plains. When his father suffered a head injury in a fall, his mother encouraged him to leave high school at 16 and start college. He graduated from New York University and received a medical degree from the University of Rochester School of Medicine and Dentistry, taking a year off to travel the world and study disease outbreaks. Dr. Li became an officer in the US Public Health Service, working at the National Cancer Institute. Dr. Li, who received a master’s in demography from Georgetown University in 1967, retained his Public Health Service position when he moved to Boston to work at Dana-Farber and eventually become an epidemiology professor at Harvard School of Public Health. Daughter Irene of Brighton recalled when she was a girl, her father often made breakfast and taught her how to prepare eggs, making time for family despite work demands. “He had an interest in teaching us to be adventurous and to be open-minded,” she said. In addition to his wife and daughters, Dr. Li leaves a son, Andrew of Windham, N.H.; sisters, Virginia of Los Angeles, Angela Li-Scholz of Albany, N.Y., and Tina of New York City; and two grandchildren.